An animated film that argues for the use of violence over discussion. As a children’s film that advocates violence over a talk-it-out policy, How To Train Your Dragon 2 packs an uneven and chaotic wallop. Rife with emotional scenes that—while strong and compelling—lack any thematic connection, Dreamworks’ last gasp at greatness flounders under the crushing impact of its Alpha-male message. While Hiccup never fully adopts Stoick’s manly-man approach of “protecting our own”, the abandonment of a more measured point-of-view and the subsequent defeat of Drago Bloodfist conveys the reprehensible message by proxy. Securing his place as chief of the tribe, Hiccup proves to be no better than his father before him (though the ensuing happy song and pseudo-Quidditch match do their best to mask the meaning). Stories argue a point-of-view.1 They employ character, plot, theme and genre in their efforts to advocate one position over another. Whether consciously considered or not, this fact of narrative carries message to Audience. In a medium predominantly seen as a safe-haven for children, a film that recommends aggression over temperance seems irresponsible and misguided. Add to this a complete lack of any thematic heart to the piece and the message comes across as cold and heartless as the villain it purports to fight. Sure there are sad moments, but where is the Relationship Throughline? Hiccup has his point-of-view and Stoick has his. They argue for a second—much like they did in the first movie How To Train Your Dragon—but then drop it as the young Viking ventures off on his own. Mother Valka picks up her husband’s point-of-view and for a marvelous split-second continues the Influence Character’s Throughline. While dad advocates protecting Vikings, mom advocates protecting dragons—both vying for protecting “our own.” Genius Influence Character hand-off. Unfortunately the Relationship Throughline between parents and son withers and dies. The inequity between them persists, but the flashback-laden film leaves little time for any emotional development of their argument. Contrast this with the first film’s talented juggling of plot and character development and the failure of story here becomes clear. 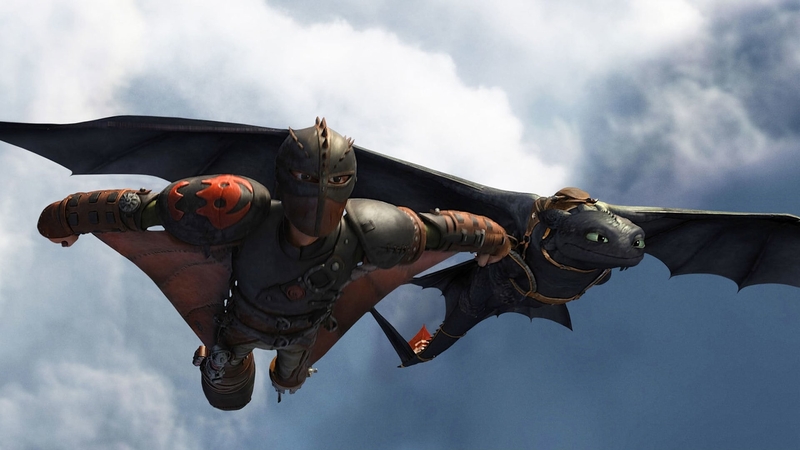 How To Train Your Dragon 2 continues Dreamworks’ track record of squandering good will from the first Dragon film. Like Rise of the Guardians, Croods, Turbo and Peabody & Sherman before it, the dysfunctional narrative of Dragons 2 will drive Audiences away and fail to attract positive word-of-mouth. Stellar animation and heartfelt moments can only do so much when it comes to a poorly conceived message and an uneven delivery system.